With infinite grief and sorrow I have to announce the demise of my dear, good friend, pre-eminent specialist in mediaeval Central Asian numismatics, Dr Boris D. Kochnev. He passed away on the evening of 3 March 2002 in Rambam Hospital, Haifa, after a year of desperate struggle against an insidious and merciless disease. Right up to his last day, overcoming anguish and fainting, Boris was labouring to finish his sizeable Numismatic History of the Qarakhanid Kaganate (991-1209). It was not before the final full stop had been placed in his main work that he allowed himself to depart. 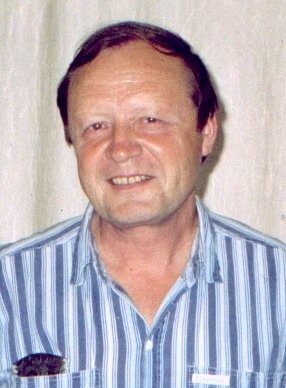 Boris Dmitrievich Kochnev was born in 1940. At the age of 6, he moved with his family from Moscow to Kirghizia where he had his first archaeological experience and fell in love with the ancient history of Central Asia. So it was quite natural that, after leaving school, he should enter the historical faculty of the Kirghiz State University. Yet his real development as an archaeologist began a while later when he moved to Tashkent, Uzbekistan, to continue his studies in the department headed by the renowned Prof. M. E. Masson. In 1971 Boris defended a Ph. D. thesis on the Islamic cult buildings ('musalla') in mediaeval Central Asia, and in the same year he started work in the Institute of Archaeology, Uzbekistan Academy of Sciences. From then till his last days, his life and scientific activity were connected with that establishment. He took part in many field expeditions to different regions of Uzbekistan, Turkmenistan and Kirghizia, where numerous remnants of ancient settlements were inspected and investigated, often for the first time. Some of them were identified as certain towns and localities mentioned in mediaeval written sources as a result of his direct involvement — in particular, Afarun and Bashtan villages in the vicinity of ancient Nakhsheb. Boris was among the main authors of the voluminous Corpus of Archaeological Monuments of the Qarshi Oasis in South Uzbekistan. Nonetheless, he realised very soon that his vocation was not 'pure' archaeology. One day, having noticed several enigmatic ancient coins with quite incomprehensible Arabic legends, Boris once and for all 'fell victim' to the rich and multifarious Islamic coinage of Central Asia. And, as fate would have it, he came to be an ardent devotee, after a while becoming one of the most competent and widely recognised experts in the very complicated field of Qarakhanid numismatics. In the opinion of most orientalists and Central Asian scholars, the history of the Qarakhanid state (late 10th – early 13th centuries ad) could never have been reconstructed to its present state without his profound and omnilateral research of many thousands of fulus, dirhams and dinars issued by numerous rulers and dignitaries related to or acting under that dynasty of Turkic origin. It is worth mentioning that Boris Kochnev became a world leader in this most complicated field of numismatics without having previously acquired a regular knowledge of the disciplines of oriental studies nor of the Arabic language; yet he mastered all those on his own, as a self-taught person. This is all the more remarkable when one considers his voluminous output on the subject. More than 150 articles and about 200 newspaper essays were brought into the world by his fertile pen. His principal work entitled Qarakhanid Coins: Research into Sources and History and defended as a full doctorate in Moscow in 1993 has become a prominent milestone on the way of oriental numismatics, enabling many t's in the study of the political, economic, social and cultural history of mediaeval Mawara'annahr and Turkestan to be crossed. One would perhaps believe on reading these words that Dr Kochnev is the only real expert in Qarakhanid history. But this is not the case; his abundant and successful work in this field was a sequel to the efforts of his elder fellows, with Academician Mikhail E. Masson and especially Prof. Elena A. Davidovich being among the most revered to whom Boris would always pay respect as his teachers and preceptors. On the other hand, his scientific progress could hardly have taken place if he had not worked simultaneously, sometimes in parallel, sometimes in rivalry with Prof. Mikhail N. Fedorov, one more of M. E. Masson's gifted disciples whose almost equally abundant publications on the same topic served as an incessant stimulant and challenge in the quest for everlasting scientific growth and self-perfection. The prolific activity and numerous discoveries made by Boris in this field of knowledge, naturally, could not escape the sight of his colleagues all over the world, so it was only just that, in 1994, the French Academy of Sciences awarded him the Drouin Prize. May his memory live for ever!